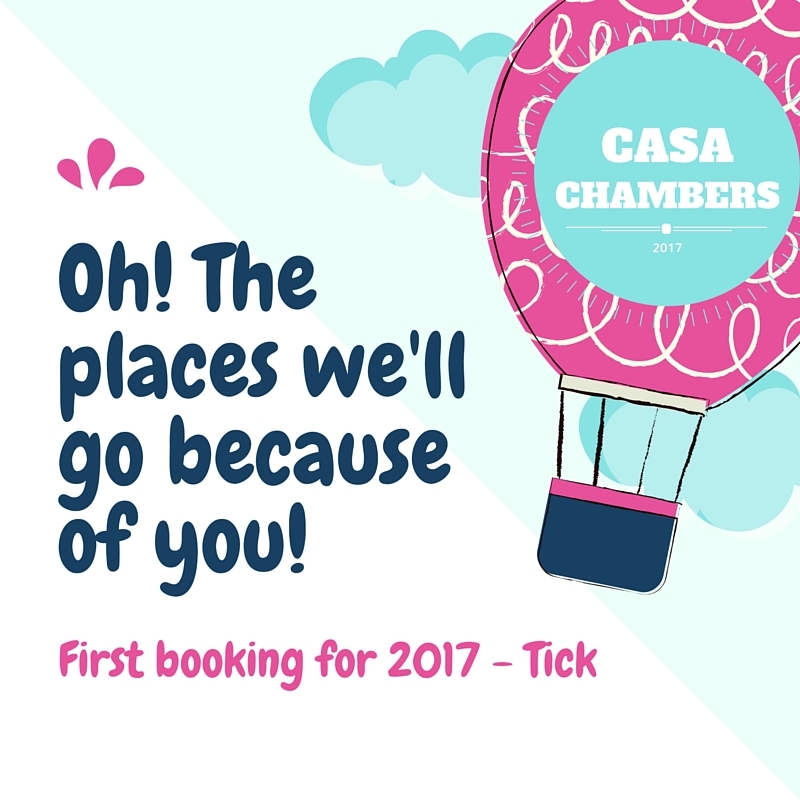 Thank You - First Booking For 2017 ~ Casa Chambers. I would like to thank, past guest, Judith Evans for referring her work colleague to our website. The books has only just opened for 2017 so we are delighted with this one. I’m glad now i spent some time doing admin on our price lists. Don’t forget if you have stayed with us before you can take 5% off any booking for 2017.